When you first started homeschooling were there any grades that you wondered if you would be able to teach? Did you look ahead a few years and feel a bit overwhelmed? Ok, that’s right where I am this year. We first began homeschooling in preschool and middle school seemed light years away. And now it’s here. First, I can’t believe I have a child old enough for middle school. When did this happen?? And second, I can’t believe I’m about to begin teaching middle school. This seems a little scary! 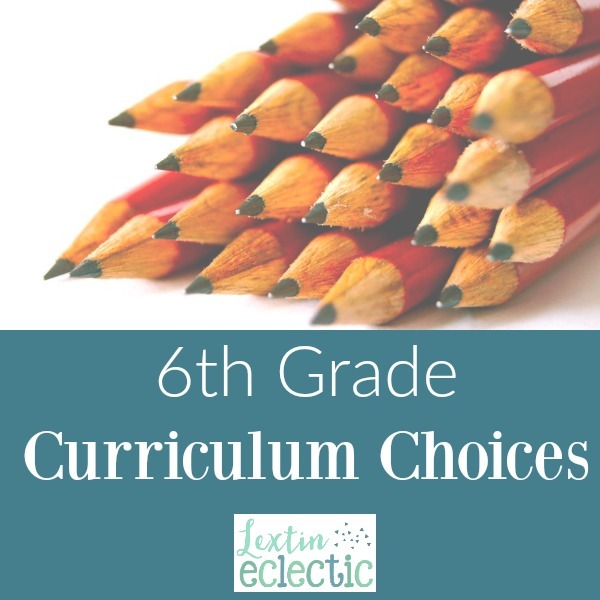 I don’t know what it is about going from elementary school to middle school, but it seems like it should be a huge jump up in content and difficulty. I’ve been feeling very overwhelmed as I try to plan our curriculum. I talked to a veteran homeschool mom and asked her for tips on planning for homeschooled middle school. Do you know what she told me? Ohh, that really helped me change my perspective. I don’t have to treat middle school as some giant scary thing or even as a big change. We just need to keep doing what we’re doing and naturally progress with our learning. My daughter will do New Testament 2 with her 4th and 3rd grade siblings. They’ll listen in on the readings and then they will all work on the worksheets together. I’m excited to have a small group Bible study with 3 of my kids. I’m hoping we have some fun discussions. We’ll also continue using Bible Study Guide for All Ages as a group. My younger ones love to listen to the stories and my 6th grade girl enjoys working on the intermediate level pages. I am SO SO SO excited for Right Start Level F. Crazy, right? I have felt that my daughter needed some more work with fractions, decimals, percents, ratios and all those other fun “extra” arithmetic topics that come after division. I think this brand new level will be the answer to our math woes! Once she completes Level F, she’ll also work to complete Level G (which she started last school year in 5th grade). Because my daughter has always struggled in math, I add in Math Mammoth for extra review. I find the two programs pair well together. And since I want her to feel confident in her math skills, she’ll work through Mastering Essentials Math also. Last year she finished book 1 and the simple explanations and the amount of review was perfect for her. Here’s another subject that I’m really excited about! Last year we tried Hake grammar, and neither one of us loved it. I didn’t feel that she retained much of the grammar concepts. For her 6th grade year, we’re trying something brand new. This program is just coming out from the Well Trained Mind. Since we worked through the First Language Lessons levels (from the same publisher) in earlier years, I’m excited to be able to use this new curriculum. I’m hoping it really helps her solidify her grammar skills – and that she remembers them too! We found All About Spelling a few years ago and it has been a great fit for our family. None of my children seem to be natural spellers, so I make sure to have lots of spelling review. Last year my daughter completed Level 3 and then did Level 4 twice. Over the summer she started working on Level 5. For 6th grade, we’re going to review Level 5 and then work on Level 6. We started Cover Story at the end of last school year and my daughter really enjoyed working through the lessons and watching the videos. She’s going to keep working on this program independently. Together we’ll work on Writing with Style. I’m hoping to complete Level 1 this school year since my daughter is a strong writer. I’m also hoping to add in several essays to her history and science since she’ll be learning those skills in this program. I’ve never used Lightning Literature before, so I’m really excited to try this program for the first time. My daughter loves to read and has read extensively, but we haven’t done any formal literature studies. I think we’ll both enjoy working through this program together and I’m excited about the book choices and even the writing assignments included in the program. I’m hoping it’s a great fit for our homeschool. I’m already starting to think ahead to high school and all those pesky ACT and SAT exams that students need to take. I plan to have my daughter work through the entire Word Roots program over the next several years. We’ll start with the beginning level and learn about Greek and Latin roots. I think this program will pair wonderfully with our current Latin studies! Here’s another subject that I’m really excited about! We’re going to try The Art of Poetry this year. I plan to cover only half of the book to allow us to dive deeply into the poetry. I’m hoping to study the various authors and learn about the types of poems too. I plan to give my daughter one high school credit after she finishes this complete course (which will take us two years). So we’ll see how that goes…..And of course we’ll also read some other poetry books. We always start our day with a few poems and it’s a great way to get our brains going for the day. My 6th grade girl is not known for her good handwriting. We’re still working on cursive skills, so she’ll be working through this book independently to reinforce cursive writing. Last year we studied the Fallacy Detective and learned about the various types of fallacies. This year we’ll read through the Thinking Toolbox and do the exercises together. My daughter will complete the other logic workbooks independently. We’re gearing up to start formal logic studies in 7th grade. Last year we completed Level 1 of this program and we really enjoyed it. It is a very indepth look into Spanish with lots of translation exercises. We’re going to try out the next level this year (and I know I’m going to be in over my head as far as my Spanish skills are concerned). I’m hoping my daughter can work toward reading fluency in Spanish. I’m going to have to develop a plan to give her more opportunities to practice conversations in Spanish though. This is another program we began last year that we’ll be continuing this year. My daughter will do much of this program independently – watching the videos and working on the assignments. Then I have her give me an overview of each lesson, so she has the chance to “teach” the Latin to me. She gets extra practice and I get to learn too. We’re trying something completely different for history this year. We’re taking a break from the classical 4-year history cycle and jumping into American history. My younger kids are using America’s Story 1 and I’m sure my daughter will listen in to those lessons. She’ll also work through this book and I’ll add in other literature options for her to round out each chapter. We’ll also work to commit facts to memory using these flashcards. Last year we worked through Draw Africa and learned all the countries in Africa. This year we’ll focus on the US to go along with our history. I also plan to add in some videos and maybe some extra reading about the different states. We’ll also review all the state capitals. Last year my daughter started BJU Science 6, so she’ll be finishing that up this school year. I might have her start on the Biology program after Christmas. I still haven’t decided on that. While my daughter works on BJU science independently, we’ll be reading through the Wonders of Creation books together. And because my daughter requested to study astronomy, we’ll read through the Tiner Astronomy book. I think I’ll also find some other astronomy books to go along with it. I always aspire to add more art into our homeschool (and I usually fail by forgetting about it). Again this year I’ll plan some art activities with Artistic Pursuits and hope that we get to some of them. I’ll be teaching my daughter piano lessons. Over the past year her piano skills have really improved and she’s begun to enjoy playing. I’m excited that she’ll be moving in to a new level in her piano books and continuing her studies. My daughter has done outsourced classes in years past and really enjoyed them. I was excited to find a new option for our classes and their literature class sounds absolutely perfect for my bookworm child! She’s going to love studying all the great titles in this literature course! And if you’re interested in online classes for your students, Bridgeway Academy is offering my readers a great discount for fall courses! I also created a 6th grade reading list. My daughter will be reading most of the titles on this list independently during her reading time each day. She’ll also be participating in swim team and taking golf lessons. So, here’s to a great middle school year!! What grade are you planning for? Thank you! I’m excited for a new year with more advanced learning. I feel like I am a lot more interested and engaged in what she’s learning, because I get to learn too. Oh I’m so excited! I’m waiting for it to come out so I can use it this year!